Comments from anonymous surveys completed by our urgent care patients. Serving Westchester, Venice, Santa Monica, Marina Del Rey, Playa Vista, Del Rey, Playa Del Rey. These are actual comments made by our patients on the anonymous surveys handed out following the visit. The surveys are kept at the clinic for confirmation. We were recently designated as one of the best Urgent Care Centers in Los Angeles serving Santa Monica, Marina Del Rey, Playa Del Rey, Playa Vista, Venice, Urgent Care in Westchester, and Del Rey, California. All urgent care clinics are walk-in providing superior compassionate advanced urgent care services. 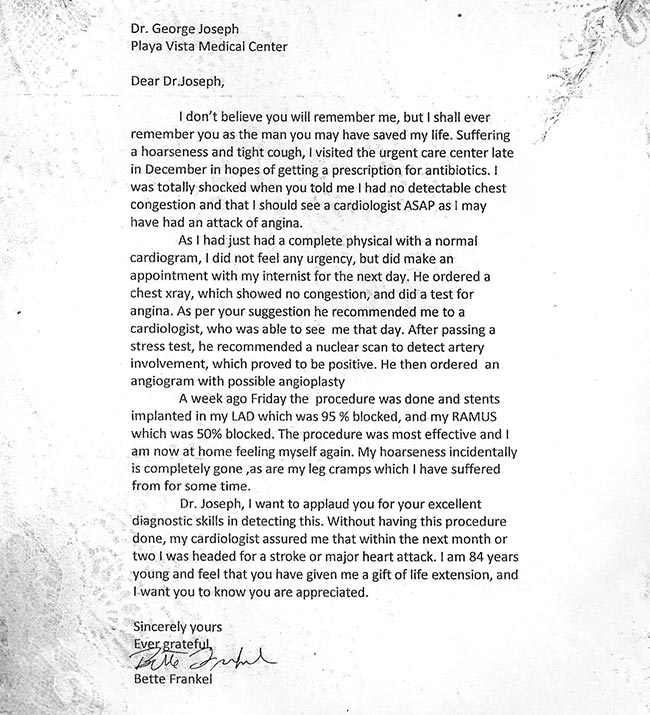 Read what our patients are saying about us on Yelp! I was in PV urgent care office yesterday and had a wonderful experience. I was there for a physical exam and had Belinda as my nurse. She was the best! She made the experience (particularly the shots and blood test) very easy and made me feel comfortable. We even made doing the breath test fun. I appreciate her professionalism, ability to connect with others, and hospitality. She was wonderful and I wanted to pass along my appreciation. In July 2012, July 2013,July 2014, and 2015 the Home Town News announced that Playa Vista Medical Center was selected as the winner in the following category BEST URGENT CARE: PLAYA VISTA MEDICAL CENTER (based on the results of the Poll by urgent care in Westchester / Playa del Rey HomeTown News’ Inaugural Best Of Readers’ Poll to help celebrate and honor some of the best the community has to offer in the categories of Food/Drink, Places, People and Entertainment. Readers voted in more than 70 categories to pick their favorites). 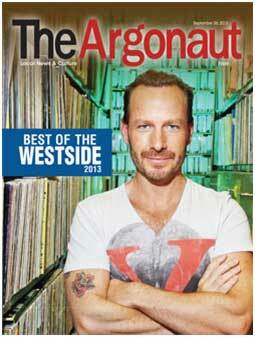 In the September 2013, 2014 and 2015 “The Best of Westside” issue of weekly Argonaut Newspaper, Playa Vista Medical Center received first place and was named the best Family Physician Office. This is an annual poll and is based on the results from of more than 2,500 readers’ surveys in nearly 200 categories. Our urgent care is of the highest quality and most patients are in and out within 60 minutes. Our physicians are board certified in family practice or/and emergency medicine. Serving the towns for urgent care for Westchester 90045, Marina Del Rey, Playa Del Rey, Playa Vista, Santa Monica, and Venice. Serving Playa Vista, Marina del Rey, Playa del Rey, Westchester, Venice, Santa Monica, Culver City, del Rey and entire Westside areas.